HydroPod 900mm Quadrant Walk In Shower Pod Enclosure RRP €1895 Factory Prices! • 550mm Vanity Unit & Single Tap Hole Basin. Includes dual flush cistern, 3 or 6 litre capacity. • Waterfall Basin Tap. • Virtue 2.0 Space Saving Square Toilet & Soft Close Seat. Includes ceramic basin. SKU: ST0050. Make the most of limited space and maximise storage capacity. Tall slimline storage tower with two cupboard sections, each with one adjustable shelf, and two open cubby spaces, one at the top and one in the middle which has 2 adjustable shelves. The included blue glass washbasin benefits from slim one piece moulded construction which is very pleasing to the touch and the blue finish gives the product a bespoke look. The unit features 4 non adjustable glass shelves and features an open box shelf at the bottom. Close coupled toilet including seat. Toilet paper holder. Toilet brush. just the bath tub. Bath towel holder. Bath shower mixer. Bath tub 90cm x 180cm. This Doc M pack offers a quality, cost effective solution to equipping a disabled toilet washroom with the necessary items. This Doc M Pack is approved and meets all current regulations. 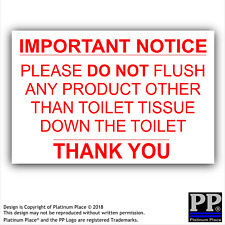 The toilet is a close-coupled format and the pack includes a raised toilet pan, cistern, basin, lever action mono basin mixer and 5 blue tubular grab rails. 1700 mm Straight Dora Bath. Has a white finish to suit any modern or traditional bathroom. The inner depth of the bath is 400 mm. Built in Britain to exacting standards by one of the leading bath manufactures. Spa Under Sink Storage Cabinet. Free Standing Spa Inspired Storage Unit Finished In Beautiful Light Oak Effect. Storage Unit With Ample Space With Easy To Clean Surfaces. Sturdy Unit Which Is Easy To Assemble. Do not use scouring powder, steel wool, hard or sharp tools which can scratch the surface of the washbasin. 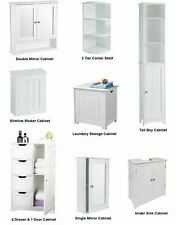 New SILVERÅN Wash-basin base cabinet w 2 doors. Wash-basin base cabinet w 2 doors SILVERÅN. Walnut shelf authentic and massive. -Three shelves equipped with one with a door, it is ideal for storing hand towels and accessories. -Weight: 5.4 kg. 900mm Combination BTW Unit -white. Brand new There is a small chip about 10mm x 5mm on the unit next to the join/ removable plinth to access the cistern. See photos as evidence. I will post it necessary but you will need to arrange courier. Structure of bamboo shelf. -Weight: 1.75 kg. Decorate your bathroom ambience with this design shelf sea. -Massive wooden shelf. -Three shelves equipped with one with a door, it is ideal for storing hand towels and accessories. -Weight: 6.5 kg. Here for sale is the most flexible tile trim on the market. gap including laminate flooring, real wood flooring, tiled flooring, lino flooring. this trim is ideal for DIY'ers and is very easy and flexible to go round. Eco Element 3rd Generation Carbon Fibre Advanced Hand Held Shower Head Filter. ✔ REPLENISHES YOUR BODY. PERFECT FOR DANDRUFF. Gets rid of dry skin, itchy scalp, dandruff, eczema and is superior in improving the condition of you and your baby's skin, hair and nails. ✔ CONVENIENCE.